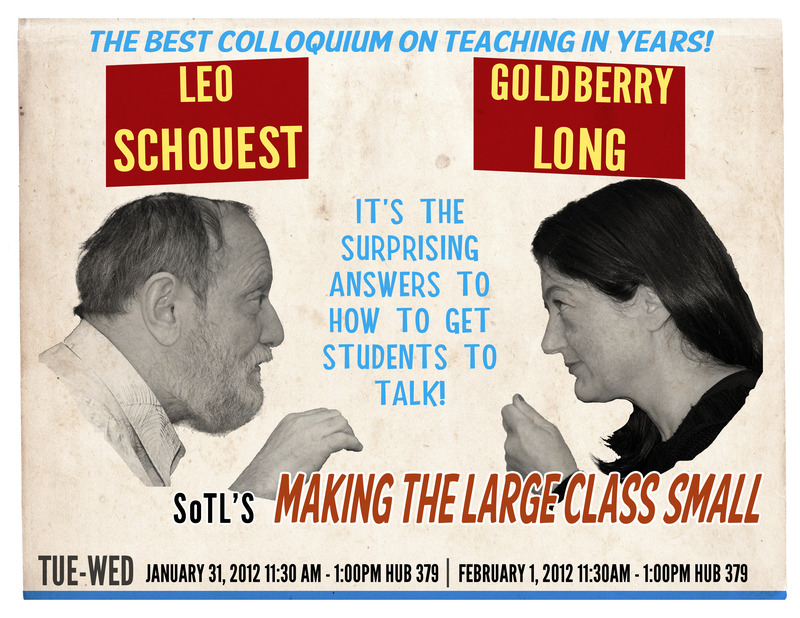 Goldberry Long (left) and Leo Schouest will present "Making the Large Class Small" as part of the Scholarship of Teaching and Learning Colloquium at UC Riverside. RIVERSIDE, Calif. (www.ucr.edu) - University of California, Riverside faculty members will once again become students through a series of on-campus educational colloquiums designed to improve the undergraduate educational experience. Presented by the UCR Office of Undergraduate Education, the “Scholarship of Teaching and Learning Colloquium” is a quarterly series that will expose UCR faculty to the best practices in higher education. The series will begin with the program “Making the Large Class Small,” presented by Goldberry Long, professor of creative writing, and Leo Schouest of the Instructional Technology Group in the office of Computing and Communications. Vice Provost of Undergraduate Education Steven Brint said that the subject of teaching effectively in large classes was a perfect topic to kick off the series, as UC Riverside faces increasing class sizes due to growing enrollment and shrinking budgets. Undergraduate classes now range in size from three to 570 students, with 19% of classes containing 50 or more students. The colloquium series is intended for UCR faculty members, but interested students and staff are encouraged to attend. The first colloquium will be offered twice, on Tuesday, Jan. 31 and Wednesday, Feb. 1, from 11:30 a.m. to 1 p.m. in HUB 379. 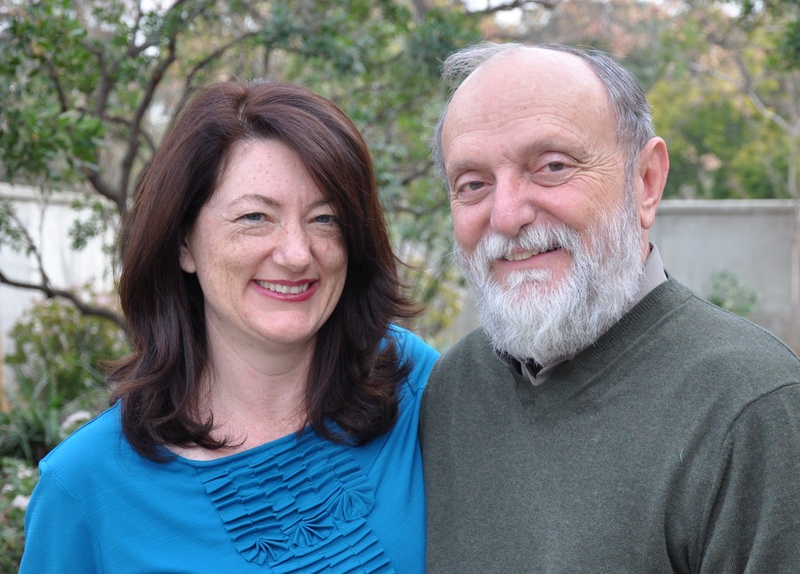 Schouest and Long are an ideal pair to teach the seminar, with each bringing a unique perspective and experience. With over 30 years experience in higher education, Schouest has had a hand in the implementation of a variety of integrated technology classroom resources across the UCR campus and designed the campus’ Hyper-Instruction Studio. Long, an assistant professor, is one of the most popular teachers on campus and her Introduction to Creative Writing class regularly has 270 students enrolled, giving her first-hand knowledge in the subject matter. Schouest and Long said that the colloquium will try to give each attendee something that they can apply to the unique situation within their classrooms. Scheduled topics include how professors and students see each other in a large classroom, the “ecology” of a large classroom and its effect upon student-learning, and creating community in the large classroom. He added that attendees will “learn by doing” and will have the opportunity to engage in activities and technologies that may be helpful in the classroom. The promotional poster for the colloquium.